I just added the below image and caption to the Trombone History Timeline (17th century—2nd half). Elsewhere I have posted numerous examples of trombonists perched on organ pipes, but I believe this is the first picture I’ve added with a trombone on organ shutters. Included below but not in the timeline is a view of the full organ pipes and shutters. 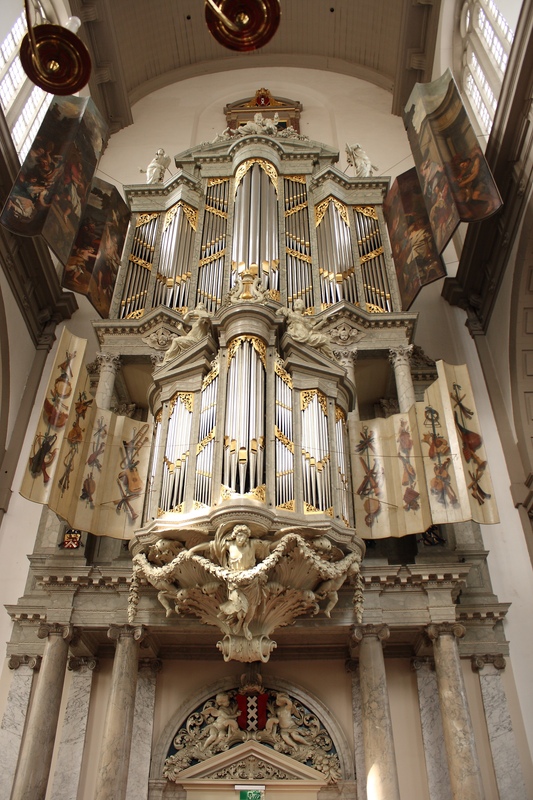 1686—Amsterdam, Netherlands: The organ for Amsterdam’s Westerkerk (west church) is built. 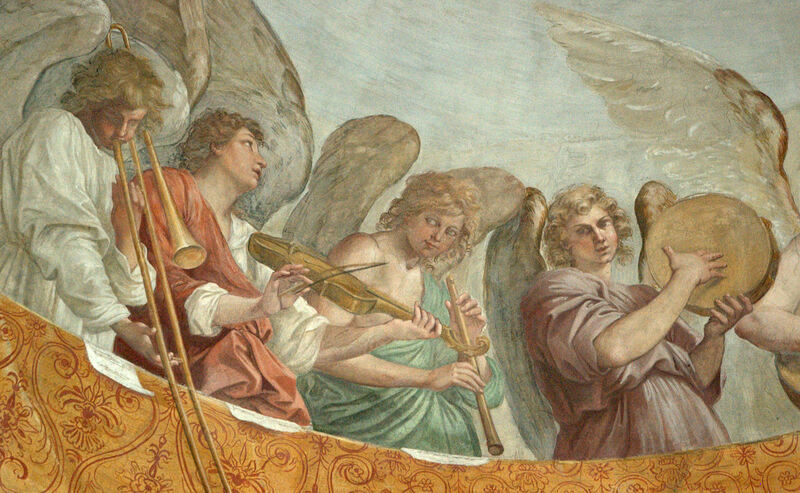 Included on the organ shutters painted by Gerard de Lairesse (1641-1711) is a depiction of a trombone (see detail and full image below; public domain).